What is the first thing that you are asked when you enter a hotel and approach the front desk?. Most of the time it is “What is your reservation number? or “Have you made a reservation?”. 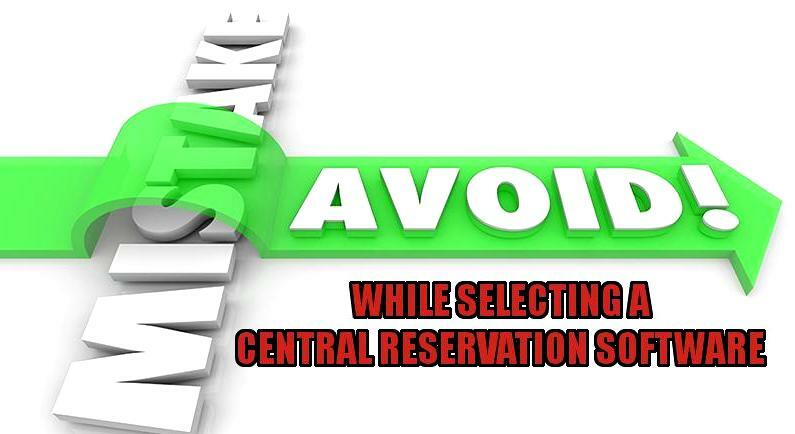 Think about that word for a minute, the word “reservation”. To the guests, it’s just a random number or a must-do activity before going to any hotel especially the good ones. Not that much of a big deal when you think about it. When you think about it from a hotel management perspective it is a very big deal and a monumental task, which can be troublesome if not performed well by the staff and management. Luckily we live in an age where technology can solve most of the problems that occur in any industry, which of course is not limited to the hospitality industry. That being said most softwares that helps with the reservation process and create good relationship between the customer and the management in a long term process. In the year of 2016, there isn’t one software to choose from but an array of choices in the industry. As good as these softwares are it is difficult for hotel management to chose a software from thin air. 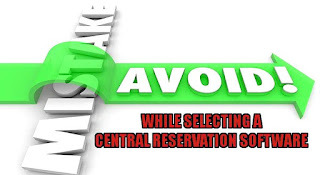 All softwares promise excellent service and fantastic output but very few can provide it, so here are some mistakes to avoid while selecting a central reservation software. This is perhaps one of the most important aspects of a central reservation software and it hold very important in todays world of online transactions and booking. The software should be user friendly to both the guests and hotel management. The last thing that the management would want is a bunch of angry hotel guests showing up at the front desk arguing and the management not being able to explain what the issue is or how to address it. A central reservation software should be easy to use from the hotel management perspective. This is why many softwares have fizzled out because it was too complicated. A complicated software makes things very difficult for the hotel staff which might even create loss for the business because of an unhappy guest. Being in hotel management is a tough job because you don’t have to please just the guests, you have to please the travel agents as well as every body contributing to the success of running the hotel and you can’t just perform one task and say everything is taken care of. The hospitality industry works on the principle of multi-tasking, which is the only way that a hotel can reap profits. The same goes for the hotel when using a central reservation software. It is important not to get a software that can only perform one task. A central reservation software needs to be able to multi-task, and at a speed that is able to handle the bulk of the hotels activities. It should have the capability to distribute inventory and rates to Booking Engine, all the OTA's and CRS. The software will need to show how many rooms available, how many are booked in different channels. It needs to show the discount rates for every agents and how many guests have booked on a particular day. All this needs to be done and it needs to function in a smooth way over a long period of time. If it doesn’t there are about to be a lot of unhappy guests. One of the most annoying things that online guests face is the payment page that has limited options of payment and takes you to a page which doesn’t recognize your card. Nothing annoys a potential guest more than this because they just want to pay the amount and be done with it. Do watch out for different payment options in the CRS and booking engine. Other options should also be included as advance payments and certain flexibilities to be levied when paying huge amounts, a method to automatically followup on the payments to the guests and to suppliers. Sales Manager for CRS Technologies (I) Pvt. Ltd. I have been handling webcrs product to achieve a very good client base.